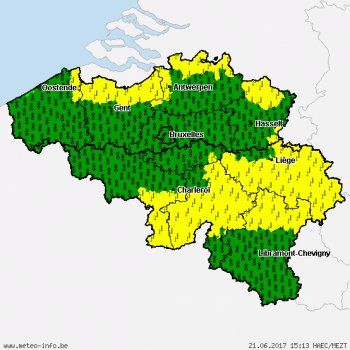 The general map contains a summary of all the severe weather hazards respectively severe weather warnings as well as useful weather advices for Belgium. 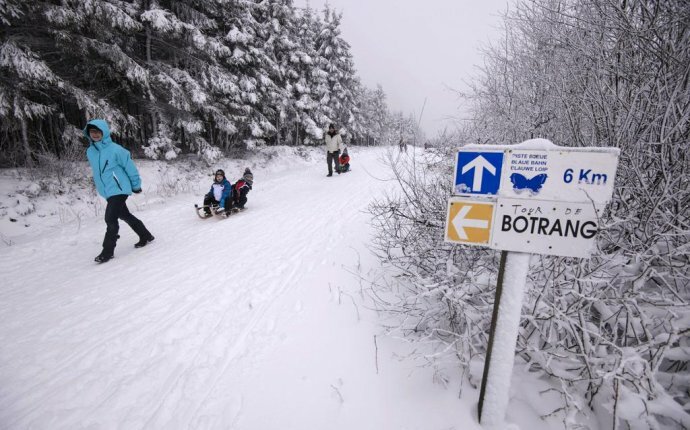 On the map you can see at which locations respectively in which areas of Belgium severe weather events as gale/storm, heavy rain, heavy snow, thunderstorm or freezing rain are imminent. Furthermore, the overview indicates where in Belgium extreme temperatures or icy roads / glazed frost have to be reckoned with. We distinguish between weather watches and weather warnings. Severe weather watches are issued up to 48 hours in advance, if the occurrence of a severe weather event is probable but there are uncertainties about duration, intensity and/or the course of this severe weather event. Severe weather warnings are released if meteorologists are certain about the occurrence of the severe weather event. Thereby, three levels are distinguished: The orange warning level stands for a (upcoming) moderate severe weather event, the red warning level for a strong severe weather event and the violet, top warning level for an extremely strong severe weather event in Belgium. The professional and experienced meteorologists at the Severe Weather Centre continually adjust the severe weather forecasts manually and make them reliable and cutting-edge round the clock (24 hours a day, 365 days a year).